Yesterday Buffet R13’s – Today…a Tarogato! Just received a beautiful blood red looking soprano sax, which was not a soprano sax but, of course, a Tarogato. The owner needs me to make a mouthpiece for it, which roughly resembles a clarinet mouthpiece, as it fits into the instrument and not over it similar to the soprano. However, what is a Tarogato I can hear you asking? Originally a Hungarian/ Rumanian instrument steeped in folk law and when played with its original double reed certainly frightened the hell out of ones enemy. However, a revival of folk instruments by Hungarian musicians about 1890 saw it changed to using a mouthpiece and single reed, thus producing a much warmer sound without the ‘serial killers’ character. Hi all. 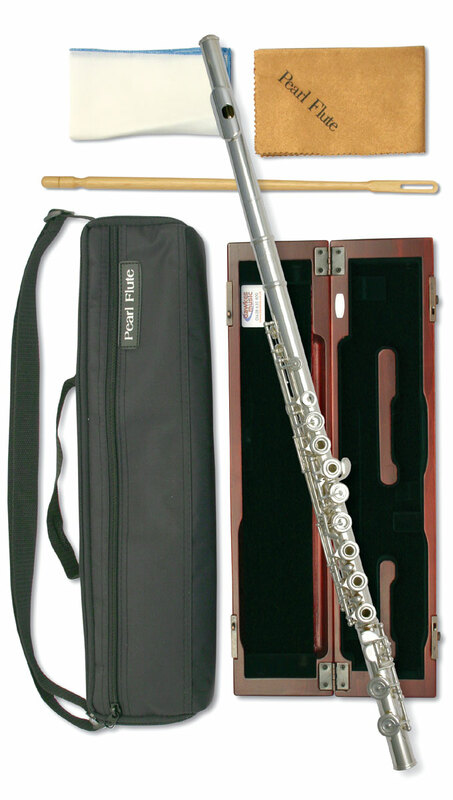 We’ve just uploaded 2 new videos on the splendid Pearl 695RBE CODA and 795RBE Coda Flutes. The instrument at the weekend was not a Jupiter, but it could happen to any model! Nice little story…We were displaying at the National Concert Band Festival last weekend in Birmingham. It was a great weekend and inspiring to see so many players, especially kids, enjoying playing in concert and big bands. We were by our stand when a rather distressed young lady came to us clutching a Baritone Sax and exclaimed that it has suddenly stopped working properly! She was due to play in 2 minutes and the Sax was not blowing any notes below a D, so my colleague pointed the girl in my direction as he knew I had some repair experience (albeit a few years ago!). I asked the young lady to play for me so I could hear the problem, at this point your mind wishes you were at the work bench with your leak light and tools, it’s funny how being removed from a usual place of work can affect your ability. A lot of people have difficulty holding their Clarinet. After playing a while, it can cause discomfort to the thumb. The Saxophone is a fragile instrument and the brass keys can get bent. It’s really easy to be a bit heavy handed and grip the crook too tightly when packing it away. What tends to happen is that that key on the top of the crook gets bent and it when you play, you get a really bad squawking sound. That’s not you, that’s the pad at the top of the Saxophone not closing. The Sax is trying to play the octave above. Your best bet is to get a qualified Instrument Repair Technician or Teacher to repair it, but if you can’t here’s how it’s done.